Pat Donahue/Times-EnterpriseVisitors from across Georgia and the Southeast — and beyond — toured Thomasville as part of the Spring Ramble. Pat Donahue/Times-EnterpriseMore than 600 people, the largest number in the event's history, signed up for the Georgia Trust for Historic Preservation's Spring Ramble in Thomasville. 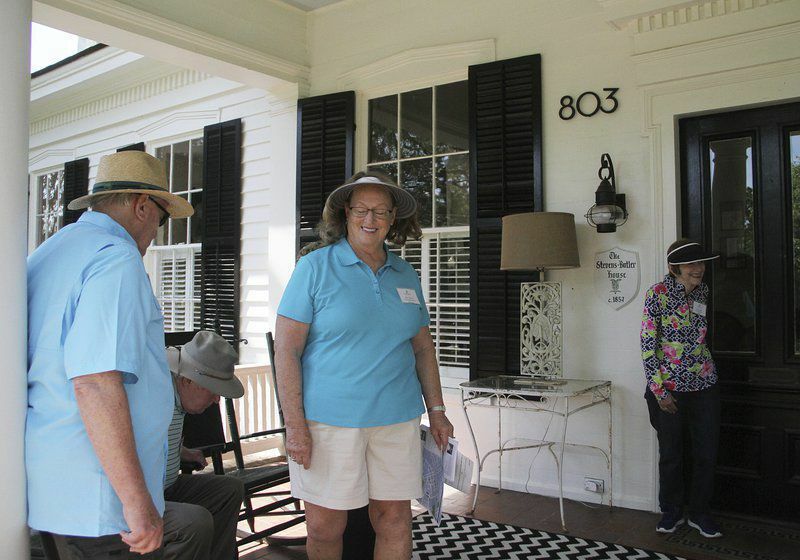 Pat Donahue/Times-EnterpriseThe Stevens-Butler House on North Dawson Street opened its doors to welcome the Spring Ramble, one of almost dozen homes on Saturday's itinerary. Pat Donahue/Times-EnterpriseThe Blackshear House on North Dawson Street was part of Saturday's itinerary for the Georgia Trust for Historic Preservation's Spring Ramble. 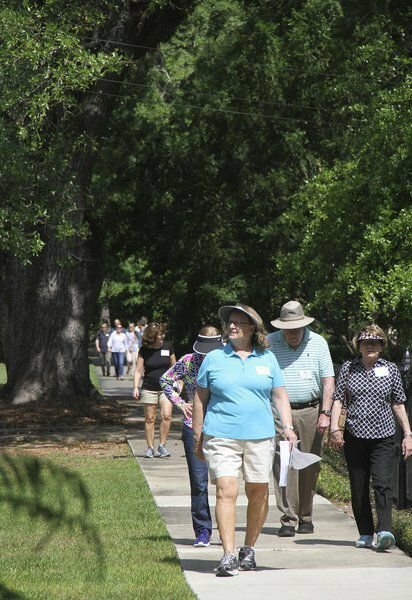 THOMASVILLE — The Georgia Trust for Historic Preservation’s annual Spring Ramble in Thomasville turned out to be the largest the organization has had. More than 600 people signed up for the event, with stops at nearly four dozen homes and sites over three days. The itinerary included Metcalfe and dozens of historic homes in Thomasville. Visitors came away impressed with the Rose City. “It’s great, and the people have been great, too” said Sandra Galvin. The Georgia Trust for Historic Preservation presented 29 awards recognizing the best of preservation in Georgia during its 42nd annual Preservation Awards ceremony. Kehoe Iron Works was recognized for the sheer scale and impact of its rehabilitation while overcoming significant challenges, including remediation of a brownfield site. Today the complex features 8,000 square feet for events and gatherings and an outdoor plaza and amphitheater featuring a commanding view of the Savannah River. This project is an excellent example of the vision and historic preservation ethic that has brought an important piece of the city’s industrial, cultural and architectural history back to life. The Georgia Trust also presented awards for Excellence in Restoration, Rehabilitation, Sustainable Rehabilitation, Preservation, Preservation Service and Stewardship. The Historic Post Office in Thomasville received an award for Excellence in Rehabilitation.